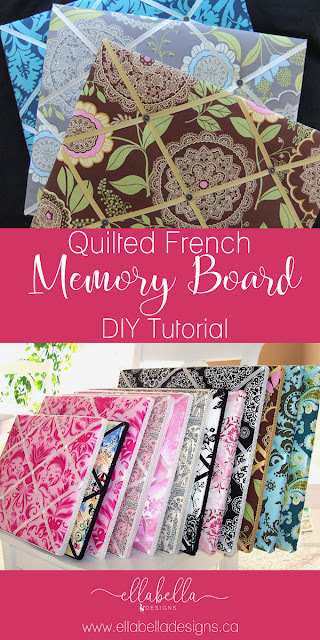 When I used to sell at the local craft markets, my handmade Quilted French Memory Boards were a big hit! These memory boards add a beautiful touch to any room with the ability to showcase a revolving array of your favorite photographs without damaging them like a bulletin board could. I use framed stretched canvases as the base of my memory boards! 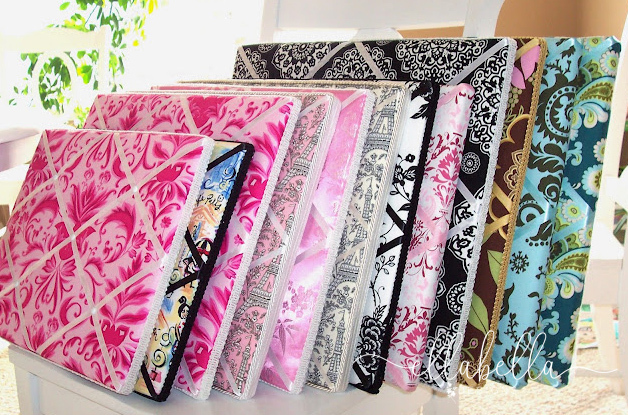 I have made these in many different sizes but found that the 16"x20" canvas was my preferred size (similar to these). The quality of the canvas itself is irrelevant, as you will be covering it up. Please keep in mind that there are a number of ways you could go about making your own Quilted French Memory Board, but here I will share with you my process. And as with any project, please use appropriate safety equipment and measures. Fabric - make sure fabric is at least 2" larger than your canvas. Designer fabric always looks stunning; I love Amy Butler and Michael Miller fabric (how cute is this monster fabric!? ), to name a few. Sometimes I am able to get away with buying fat quarters, but I really had to stretch it! Note: These can be addicting to make, you may seriously want to consider purchasing in bulk! I always bought in bulk, as these memory ribbon boards are so popular and addicting to make! Not only did they sell like hot cakes at my craft markets, but I ended up making some for friends and family, too! 1. Iron fabric and cut to give you at least 2" overlap on all sides. 2. Cut batting to give you at least 2" overlap on all sides. Spread some hot glue over the front of the canvas, just enough so it stays, and adhere batting to front. 3. Lay the fabric face down and place canvas front-side down over top of the fabric; be careful here and make sure that the pattern on your fabric is straight. 4. 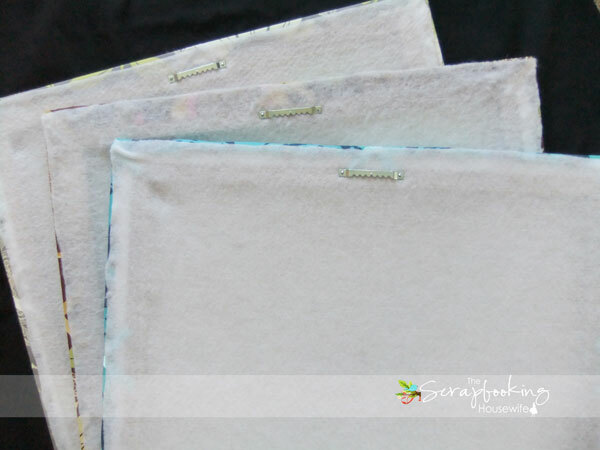 Stretch fabric over sides and staple to the back of the canvas using an electric staple gun. Tuck corners in and staple. Cut off any excess fabric. You may need to use a hammer for some of the staples that don't go in all of the way. 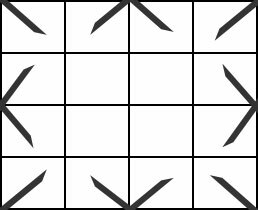 For the next set of instructions, it may be helpful for you to visualize the canvas as a grid when dealing with measurements for ribbon & brad placements. Note that for larger canvases, you may wish to add extra lengths of ribbon and brads. 5. 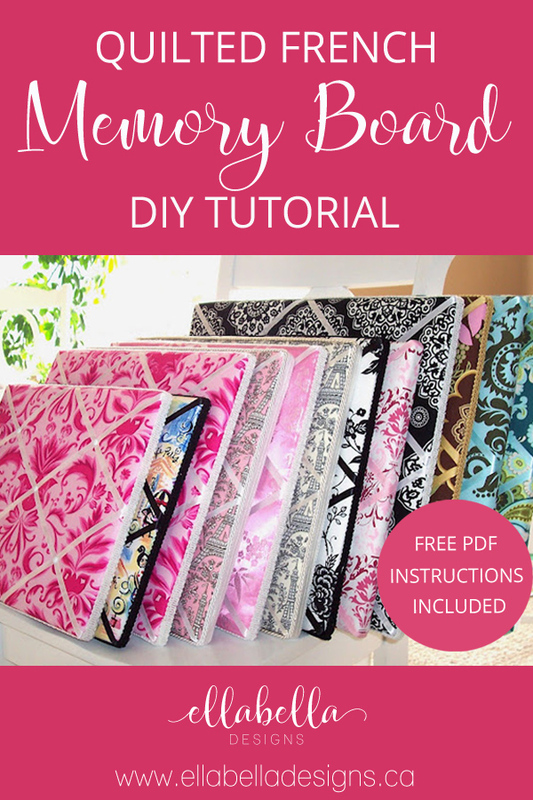 With canvas facing down, use your staple gun to staple one end of ribbon to the corner of the back of the canvas; bring diagonally across the front to the opposite corner, making sure ribbon is tight, and staple the end to the back of the canvas. Repeat on the other corners. 6. Turn the canvas face down and using a pencil, mark at the middle point of each side of the frame. 7. Keeping the canvas face down, staple another piece of ribbon to the top middle at an angle; bring ribbon over the front of the canvas and over to the middle of the other side; staple. Do this one more time on the same side. 8. Continue on other three sides. 9. Once ribbon is stapled in place, take your measuring tape and measure the middle point of the front of the canvas. Your two ribbons crossing over should be exactly in the middle; if not, you will need to maneuver them until they are in the centre. 10. Hold ribbon while inserting the paper piercer (or the very pointy & sharp tip of your scissors) in the centre. Make sure you go all the way through the ribbon, fabric, and canvas. Insert your brad and separate back so brad sits flat. You may need to tear the ribbon and fabric slightly, just be sure not to form a run in the ribbon or fabric. 11. The other four brad placements can be a bit tricky; the ribbon will likely require quite a bit of maneuvering to get the ribbon placement just right. 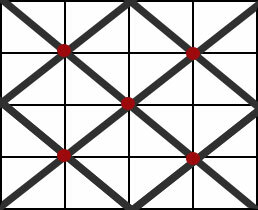 Imagine the canvas divided up into sections and measure in both directions to get the mid-point. I usually start with the top left brad and work clock-wise, but do whatever works for you. For example, if I was working with a 16" x 20" canvas, I would measure 5" across and 4" down and move my ribbon accordingly to get it just right. 12. Once you have all of the brads in place, you can then attach the felt backing using a hot glue gun. 13. If you are using trim, attach that to the edge of the canvas using hot glue. 14. Turn canvas face down and mark the middle of the canvas; attach sawtooth picture hanger. 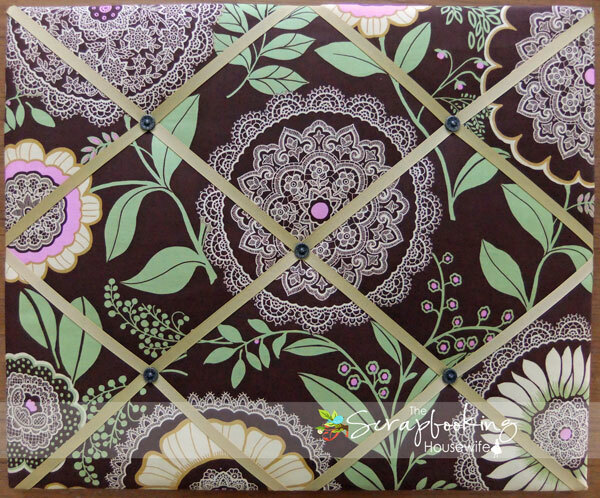 Your Quilted French Memory Board is now ready to hang and adorn your photos and makes the perfect decor for your home! I would love it if you shared your DIY memory board! Visit me on Facebook @ellabelladesignsbyann or Instagram @ellabella.designs. Oh my goodness, these are beautiful!!!! Thanks so much for the great tutorial!! I love memory boards and have a couple of them that I bought, but have been wanting to make my own, so I was so happy when I saw your post! Thanks so much for sharing how to make these!!! Thanks for the comment, Maria! I visited your site and am drooling at all of the delicious-looking recipes!! :) Can't wait to try some! They are so pretty! I have a plain one that I bought that I would love to fancy up, but maybe I should just make my own. These boards are gorgeous! Thank you for the detailed instructions too! Would you consider linking this up to my Pinworthy Projects Party? I would love to see you there! Thanks so much for the invite and comment! :) Would love to join your party! These turned out beautiful! Years ago I made some of these for gifts and they were a huge hit. I need to do some again--you inspired me! 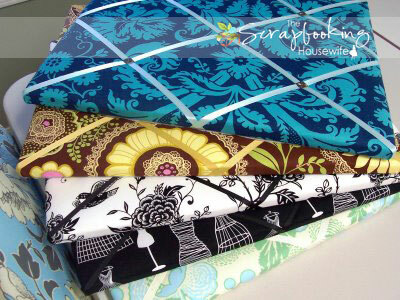 You have used such gorgeous fabrics! :) They must be a plesure to use. I wanted to stop by and let you know that I featured this over at Just Us Four today! I hope you will come by and grab a featured button! I love these. Yours turned out beautifully. Thanks so much for linking up at One Creative Weekend! I hope to see you back on Friday.